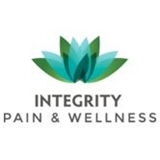 Integrity Pain & Wellness (Scottsdale) - Book Appointment Online! Everyone in the office was really nice and there wasn't a lot of waiting around like some offices. Dr. Patel was very understanding of my difficulty's. I would definitely recommend him!